It is now almost two years since we warned of the dangers of wearing Brexit Goggles - of seeing the world as a feature of Brexit (rather than the other way around). But as we said back then, beware the Brexit Goggles - by design they have an excessive focus on Brexit, which means they filter out other important news. Take a few examples from the past week of stuff that didn’t exactly dominate the headlines here. France recalled its ambassador from Italy to protest at interference in French internal affairs by a faction of the Italian government - namely the Five Star Party. It is not quite breaking off diplomatic relations, but it is a very serious step - particularly when you consider that these two G7 countries are next door neighbours and founding members of the EU and the Euro. How serious? The last time this happened was 1940, when the Fascist regime attacked France in support of their Nazi allies. That serious. The immediate cause is a meeting in France between Luigi Di Maio, the leader of Five Star, and a group of "Gilet Jaune" protesters. Meeting political parties in the run-up to the European Elections in May is one thing, but French President Emmanuel Macron is furious that another EU government leader would meet with a group that has brought very violent protest to the streets of Paris, destabilising his government and weakening the French economy (a riot-induced weakness mentioned in the European Commission’s growth forecast - more on that below). Mr Macron has also complained of a series of "insults" from the Italian government towards France. But this goes way beyond insults, and appears to be a sign of how seriously European government, particularly the French, are taking the threat of destabilisation in the European elections. Mr Di Maio and his Five Star movement have been publicly lauded by Steve Bannon, he of Trump election and Brexit fame, who is also working with Marine Le Pen’s National Front (now known as the National Rally) and others across the continent in what he calls "the movement" to bring Brexit/Trump tactics to bear on the European Parliament elections. But the Brexit Goggles only let us glimpse the "insult" from Donald Tusk about the special place in hell for Brexit leaders, or the destabilisation of the Tory Party. Last Monday EU foreign ministers were due to agree a common position on Venezuela, in which all the EU states would refuse to recognise Nicholas Maduro as President of the South American country, and instead recognising the speaker of Congress, Juan Guaido, as the legitimate ruler until there are fresh elections. Under EU rules, unanimity is required. But Italy’s Five Star Party would not agree, so the "common position" failed. It was then up to individual countries to take their own positions. Ireland declared its recognition of Juan Guaido as interim President on Wednesday, in a statement from Minister for Foreign Affairs Simon Coveney. Recognising a challenger to an incumbent head of government is not something the Irish (or most other governments) do lightly. The situation in Venezuela is becoming critical. This diplomatic action is significant - as is the failure of the EU system to "add value" to the diplomacy in a "whole-is-greater-than-the -sum-of-the-parts" way. In throwing in its lot with Guaido against Maduro, Ireland has lined up with the rest of Europe (except Italy) and the US. But Maduro is supported by Russia. This week Russia followed the US in abandoning the Intermediate Nuclear Forces Treaty, a 1980s agreement not to develop and deploy "intermediate range" missiles. Remember, intermediate range means missiles that are designed to drop atom bombs in the space west of Moscow and east of Shannon. In other words, we are the target, Europe is the nuclear battlefield. But if you've got Brexit Goggles on, the only battlefield you see is over the Backstop. And while the threat of violence in Northern Ireland is more likely, the consequences of nuclear war are more consequential (the ultimate Black Swan event). Pay attention. Brexit Goggles give the wearer fantastic insight into the economic consequences of Brexit, in amazing detail, shedding light on the most arcane aspects of trade, customs and freight forwarding - to the exclusion of almost everything else of economic consequence. Yes it a big economic event - potentially a devastating one, especially if it proves to be the trigger event that sets off a new European, possibly even global, recession. It is not that Brexit in itself is enough to cause a recession - it hits the Irish agri-food industry extremely hard, but the rest of the economy is largely discommoded, not devastated. And it's the same, but to a lesser extent, for the rest of the EU. It's real global significance is as a potential trigger, causing a general loss of confidence - rather like the loss of confidence in the inter-bank lending market that caused the credit crunch in August 2007, which led to...well, you get the picture. In and of itself, Brexit is just one more straw in the load being piled on the back of the beast that is the global economy. The question is, will it be THE straw - the final straw, the one that breaks the back. After all, things are not going well in the wider world economy, where a slowdown in China is feeding through to the rest of the world. From mobile phones to cars to computers - and all the global supply chains that feed those industries - the slowdown is becoming palpable. Thursday’s shock news from Jaguar Land Rover - a jewel in the crown of British manufacturing industry - which announced a £3.4bn loss in Q3, was mainly due to falling sales in China, and a drop in European and UK sales because of a move away from diesel by consumers. These are long-term trends, not the short-term issue of Brexit (by the way, Jaguar’s battery-powered SUVs are made in Austria by a contract manufacturer, while Land Rover has opened a new factory in Slovakia. Meanwhile it is cutting jobs in the UK - again, it's not due to Brexit, but Brexit isn’t helping). Then there is America. Most observers of the US economy are increasingly of the view that it is at the peak of this cycle, so the only way is down, despite the sugar hit from the tax cuts. Certainly the Fed as abruptly about-faced on interest rate hikes - and Brexit does not bother US business much. On Thursday the European Commission marked down its growth forecasts for the EU and its states. 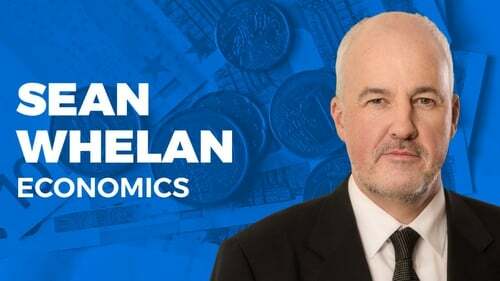 Pierre Moscovici, the Economics Commissioner, said: "After its 2017 peak, the EU economy's deceleration is set to continue in 2019, to growth of 1.5%. This slowdown is set to be more pronounced than expected last autumn, especially in the euro area, due to global trade uncertainties and domestic factors in our largest economies." Here is the short version of the Commission’s view on the state of the economy: "Economic activity moderated in the second half of last year as global trade growth slowed, uncertainty sapped confidence and output in some member states was adversely affected by temporary domestic factors, such as disruptions in car production, social tensions and fiscal policy uncertainty. As a result, gross domestic product (GDP) growth in both the euro area and the EU likely slipped to 1.9% in 2018, down from 2.4% in 2017 (Autumn Forecast: 2.1% for EU28 and euro area). "Economic momentum at the start of this year was subdued, but the fundamentals remain sound. Economic growth will continue, albeit more moderately. The European economy is set to continue to benefit from improving labour market conditions, favourable financing conditions and a slightly expansionary fiscal stance. Euro-area GDP is now forecast to grow by 1.3% in 2019 and 1.6% in 2020 (Autumn Forecast: 1.9% in 2019; 1.7% in 2020). The EU GDP growth forecast has also been revised down to 1.5% in 2019 and 1.7% in 2020 (Autumn Forecast: 1.9% in 2019; 1.8% in 2020). "Among the larger member states, downward revisions for growth in 2019 were sizeable for Germany, Italy, and the Netherlands. Many member states continue to benefit from robust domestic demand, also supported by EU funds." For Ireland the Commission has marked down growth following a weaker than expected third quarter reducing momentum into this year: "Influenced by the lower carry-over from 2018 and the less favourable outlook for global demand, Ireland’s GDP growth is forecast to moderate to 4.1% in 2019 and 3.7% in 2020". Yes it says Brexit is a big risk to the outlook, but it also cites changes to the international trade and taxation situation as risk factors. So the economy will still grow, but not as strongly as in the recent past. And with that inflation will start to fade a little too. This has implications for interest rate policy, with the ECB now likely to keep rates unchanged for the rest of the year. So Mario Draghi looks like being the first ECB President to never raise interest rates in his eight-year term. That in turn has implications for asset prices, and debt levels, including for house-buyers. Brexit is not the cause of any of this, but it does feed into the negative sentiment that surrounds most economic forecasts. If you wear Brexit Goggles, you might think Brexit is the only economic iceberg out there, and Ireland is the only country it will tear a hole in (apart from the UK itself). Finally, yesterday the OECD decided to shine a spotlight on that well known but rarely mentioned elephant in the room, debt. It finds that gross borrowings of OECD governments from the markets are set to reach a new record level in 2019 by exceeding €11trillion. While government funding needs in the wake of the financial crisis increased in most OECD countries, the recent further increase is confined to a few countries, particularly the United States. In 2017, the new debt issuance of OECD governments to the markets registered the lowest level since 2008, but increased by €600bn to €1.9trillion in 2018 and is projected to exceed €2trillion in 2019. Between 2007 and 2018, outstanding central government debt for the OECD area as a whole doubled and the debt-to-GDP ratio rose from 49.5% to 72.6%. While the new debt issuance is set to increase the nominal level of outstanding central government debt further, debt-to-GDP ratio is projected to remain at 72.6% in 2019, mainly owing to continued economic growth in the OECD area. Do note that Italy is the most indebted country in the EU and the euro area. After the Commission growth forecast this week its bond yields hit 2.95% - a 280 basis point spread over German bonds. It is planning to raise about €250bn from bond markets this year. Italy - the country that France has pulled its ambassador out of, and which blocked the EU’s Venezuela policy move on Monday. The same Italy that got into a fight with the Commission over its budget plan last October. The fix in that budget plan was reliant on some optimistic growth forecasts by the Commission. But on Thursday it downgraded Italian growth from 1.2% to 0.2% - the lowest by far in the EU. This heralds more conflict between a populist government in Rome and Brussels (and maybe other capitals beside Paris). Not good for the EU or the single currency with European Elections and Brexit both due in the next four months. Brexit Goggles filter out Italian news. And debt news. Remember, nothing has happened in the Brexit story since last November, when the EU and the UK Government agreed the 585-page text of the Withdrawal Agreement. Precisely nothing. Sure, there’s been lots of huffing and puffing and displacement activity in London. But what does it amount to? Nothing. Absolutely nothing.